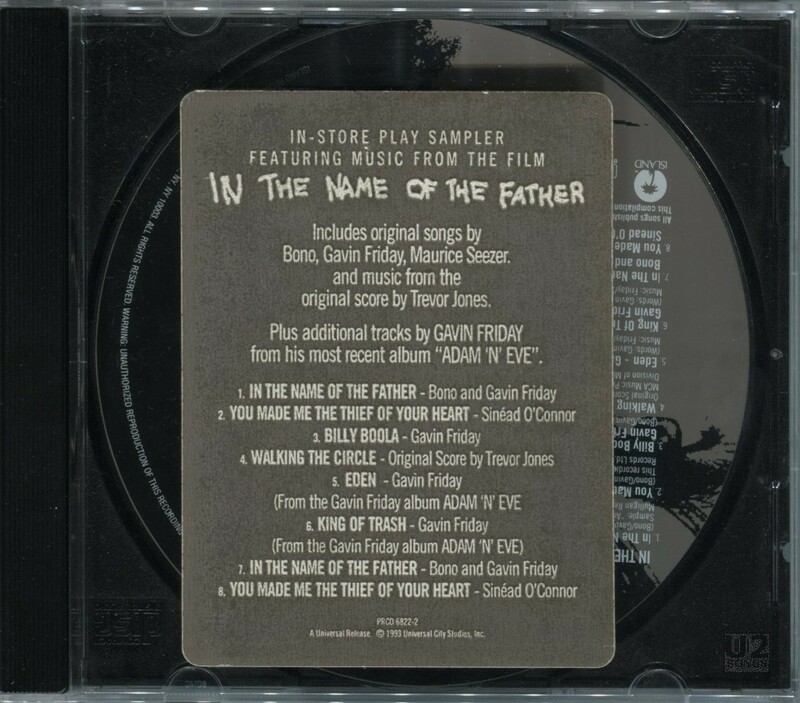 This promotional CD was sent to record stores for in-store promotion of the “In the Name of the Father” soundtrack, but Island records also used the opportunity to promote Gavin Friday’s last solo album by including two songs from the “Adam ‘N’ Eve” album, and not just songs from the soundtrack. The first two songs are repeated again at the end of the CD. The CD was released in a plain jewel case with no inserts. The only outer labeling was a sticker affixed to the jewel case with the track listing and the catalog number.